Frost on the window pane. I joined the Winter Sparkle blog hop, hosted by Lisa Lodge as a challenge, and indeed it was. Here you see what I received, lots of cool blue and clear crystals with 3 Botswana agate beads and a cache of blue seed beads definitely a winter palette. I confess, this grouping stumped me. I don't work with seed beads and I tend toward large 'statement' pieces. I have had multiple incarnations over the last few weeks... and only one of them, a bracelet 'hit the spot'. Earlier this week I received the exciting news that some of my home decor pieces were being accepted into a local 'handmade only' shop [More on that in a future post] and I have been frantically trying to get things ready. Thursday I was working on a mokume gane picture frame in shades of blue and had a ton of scraps left over. Then came my "Voila" moment. I made beads and a hollow pendant with the scraps and the rest fell into place. Lisa challenged us to use everything....alas...I do have a quite a number of beads left... and then there are those seed beads. However, I am please with the two pieces that resulted. Here for your perusal are 'Winter Winds' and 'Frost on The Window Pane'. 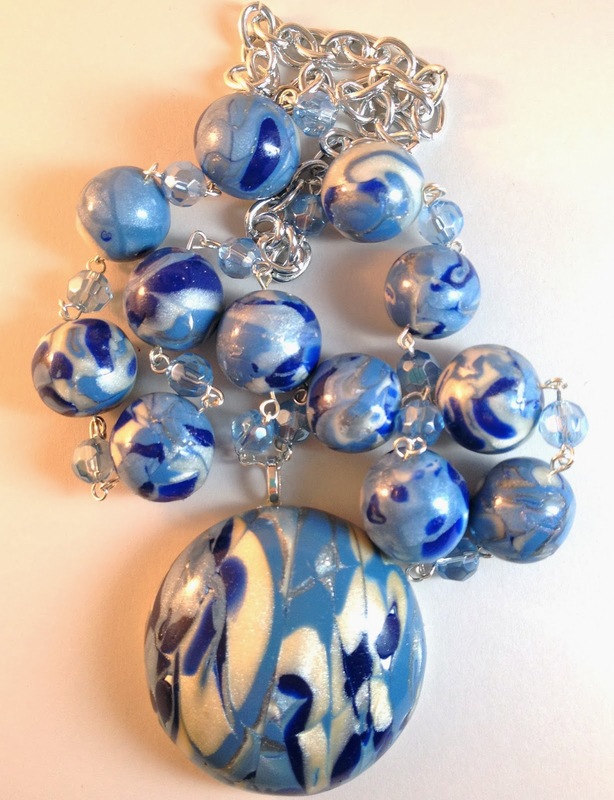 'Winter Winds' is a (20 to) 30in long adjustable necklace featuring handmade polymer clay beads and focal in navy, denim, a custom blend pearl blue and pearl white clay accented with crystal clear pale blue faceted crystals in a rosary link style chain. 'Frost on the Window Pane' features repurposed vintage silver plated tube beads individually linked with faceted Botswana agate in a pale blue and cream. Toggle style clasp. If you are already a follower of my blog~ I greatly appreciate that. If not, would you please consider joining as a follower? There is an easy 'join me' spot at left- THANK YOU! Tammie-Your handmade beads make that necklace. They are perfect in color, size, and shape! Well done! I am wondering what gauge and type of metal you use in your rosary style necklace. I would like to make one but I need to get the wire. I have brass and bronze that works well but I am clueless what to use for silver. Tammie . . . I love your work and I look forward to following your blog! Congrats on setting up shop . . . very exciting for you! Thanks for sharing your journey! Congratulations, Tammie on being featured in the handmade only shop! 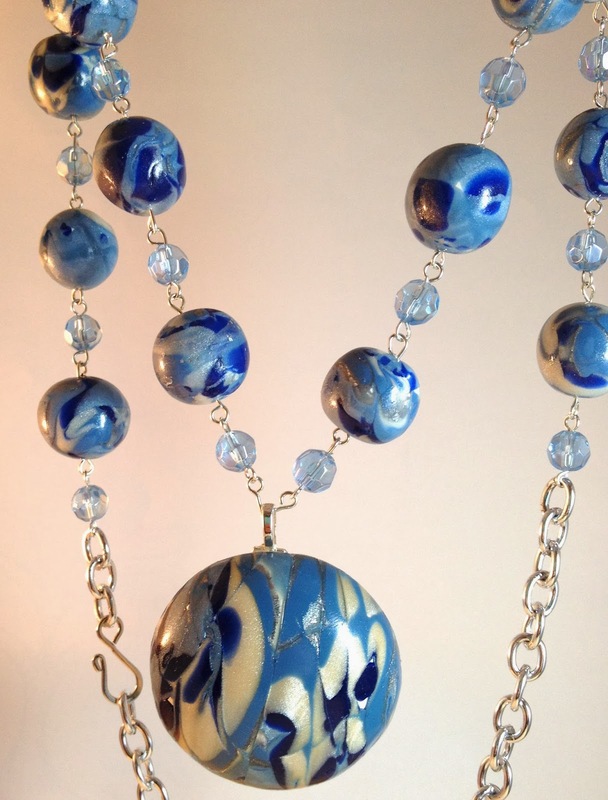 I love the pieces you created, especially the Winter Winds adjustable necklace. These colors are some of my favorites, and definitely hit the Winter Sparkle theme! Thanks for being in the hop! Such gorgeous beads, and you display them beautifully. Your design really shows off the elements. 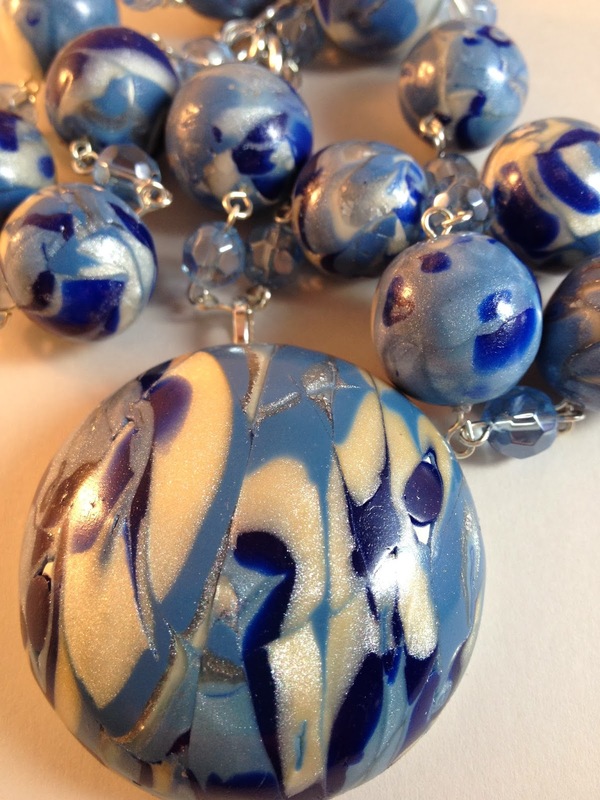 Winter Winds is an incredibly beautiful necklace! It is so interesting to see what other people do with these beads. I'm quite the opposite when it comes to seed beads and would have used them in place of the rosary link, because I've never learned that style. Here via Cassi at Beads Rolling Downhill. Lovely pieces, I really like the bracelet - has that cool, chunky look. Tammie, Love your necklace. Thanks for visiting my blog and leaving a comment. 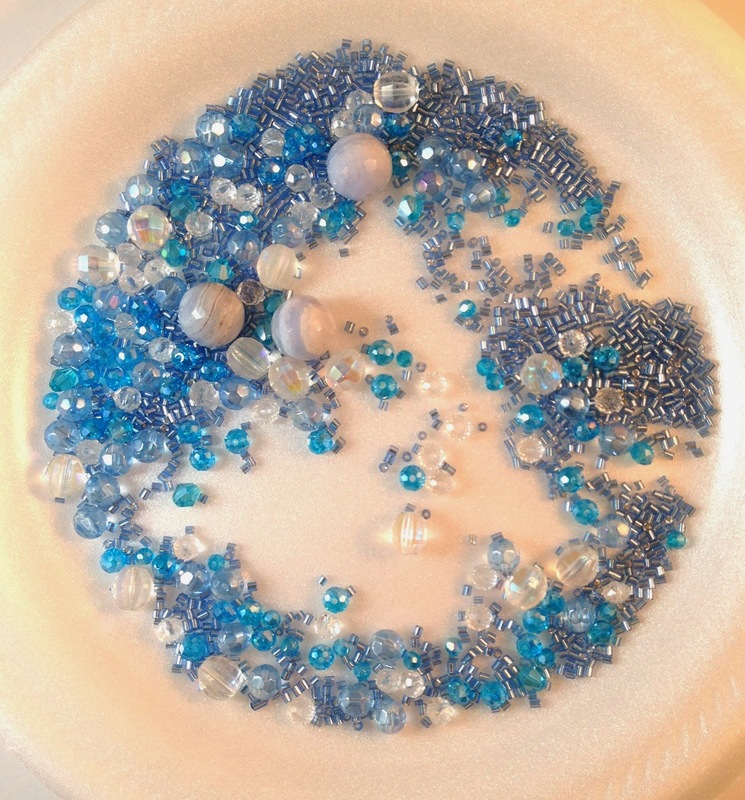 This was probably the first blog hop that I used almost all the beads. Will be glad to follow your blog. What I have seen has been interesting. I love your pieces. 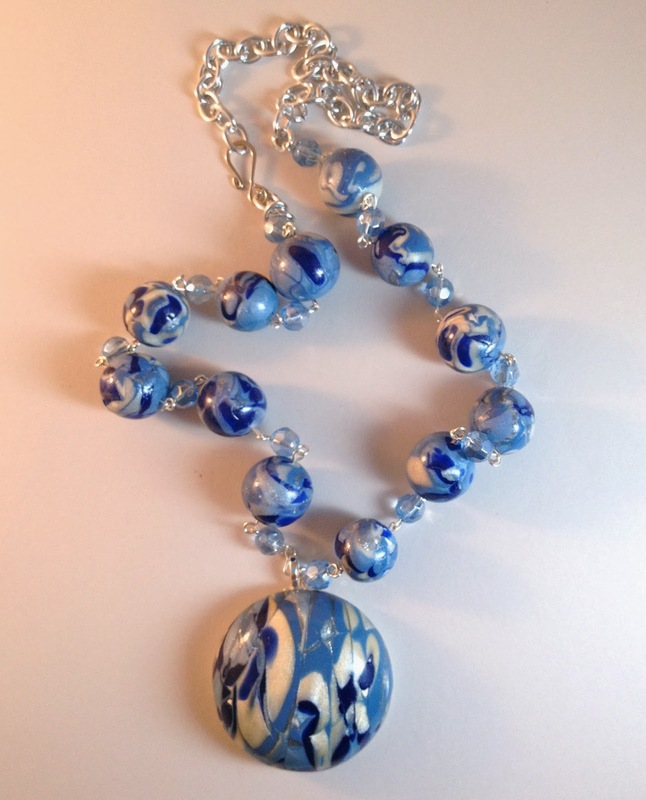 The winter winds necklace could have been made for me, it is gorgeous. I love the bracelet too, it's very wintery. AWESOME!!! is the only word I can use to describe your "Winter Winds" necklace Tammie. Love both of your pieces, you made some really neat clay beads too. Your design is so beautiful, you are so talented. The pendant you made is beyond words. I love it.